…This is just one of the numerous Captains recommendations we received last season for Woodstock Boatbuilders affirming their long time standing reputation as one most dynamic Superyacht service companies in the entire Caribbean. 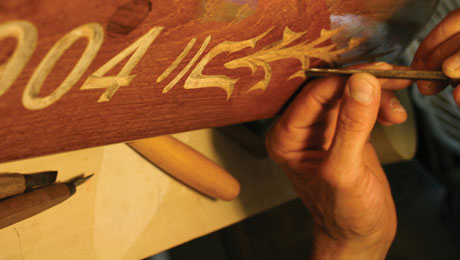 Founded in 1990 by Andrew Robinson, who trained at the International Boatbuilding Training Centre in England, Woodstock developed from a small woodworking business, into a much larger concern with a broad base of skills enabling them to promote themselves as a genuine, fully fledged refit / repair operation. 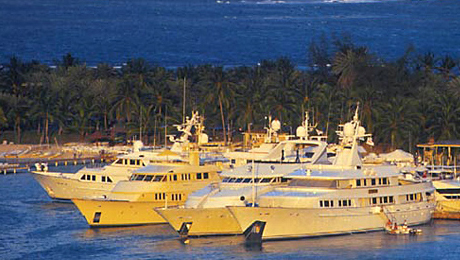 This evolutionary growth has only come about by building a solid reputation; keeping quality and service as the foremost issues at all times… and having a commitment to working beyond ‘normal hours’ – (to suit each individual yacht’s demands). With this in mind, Andrew has structured the staff (40+ at peak times) to include highly experienced Project Managers who really understand the needs of the yachts they work with… along with specific managers to look after specialist services. This organizational structure now sees them well set up to look after major jobs, both 'in season' and through the summer. Summer refits can be carried out in possibly the Caribbean’s most ‘state of the art’ boathouse - 180’ x 100’ Cat5 hurricane resistant building at North Shore Boatyard, Crabbs Peninsular. 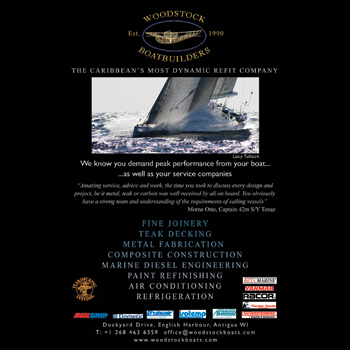 Woodstock Boatbuilders are factory-authorised agents for Teak Decking Systems & previous numerous major refits on high profile yachts have included many complete re-decking jobs as well as paint refinishing and a substantial amount of engineering, systems analysis and stainless steel & alloy fabrication works. 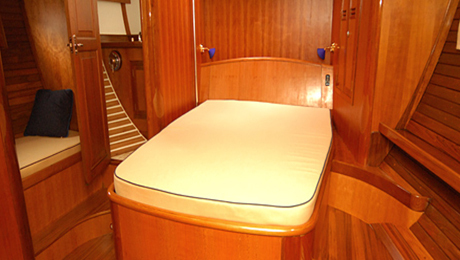 They have also carryied out ‘authorised warranty works’ aboard a number of new build yachts. Besides their dedicated carpentry facility (that includes GRP / carbon / composites repairs); they also have a well equipped machine shop and engineering department offering metal fabrication, machining and welding with materials as diverse as titanium, stainless steel, alloys, cupro-nickel and bronze and plastics. The mechanical engineering workshop at Woodstock Boatbuilders came highly recommended again this past season. 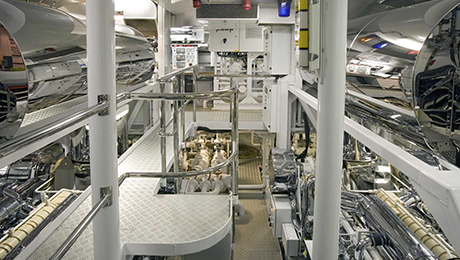 As agents for such brand named products as; Yanmar, Racor, Westerbeke, Beta Marine Engines, Fischer Panda Generators, this company is highly qualified to troubleshoot, & service all a superyachts diesel engine problems from servicing to complete engine rebuild and replacements. They also service and repair exhaust systems, carry out injector testing, and overhaul / repair plumbing systems and refrigeration and A/C units (see ‘Refrigeration / Air Conditioning’ section for more details). 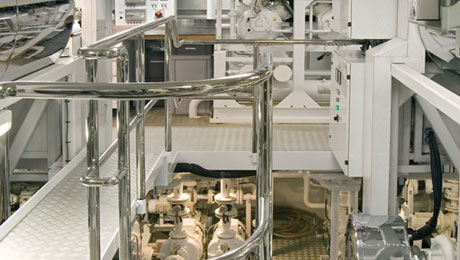 Their very well-equipped machine shop and engineering department can also undertake hydraulics work, metal fabrication, MIG & TIG Welding, windlass servicing and repairs plus installation and servicing of pumps and associated systems. Their skilled welders, engineers and HVAC technicians (see also ‘Welding’ section) have a wealth of over 35 years engineering experience whilst encompassing the most up-to-date product-specific training; essential for diagnostics and rectification of engine and A/C problems. Woodstock can also source and supply a large range of spares and parts for fast delivery. Woodstock's expansive metal fabrication / machine and engineering workshops are complemented by technical ‘In-house’ design and AutoCad capabilities. From their fully equipped machine workshops, the Woodstock Boatbuilders skilled welders and machinists carry out amazing design, fabrication & machining projects working with diverse materials including: titanium, stainless steel, alloys, cupro-nickel pipework and bronze as well as plastics, Delrin and Vesconite. They can also undertake MIG & TIG welding projects and come highly recommended in all aspects of welding & fabrication from design through to machining, fabrication, finishing and polishing. “I just wanted to thank you all for the excellent services you provided us with and I will pass the word on how good you guys are”. 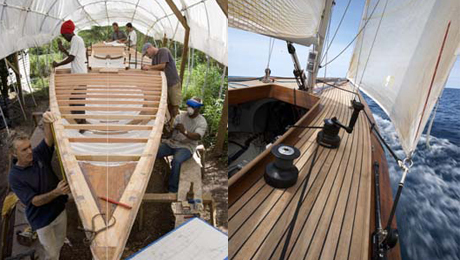 The Woodstock refit team in Antigua can undertake the fabrication and repair of all manner of high tech Superyacht onboard fittings and equipment including rigging and spars. They will also follow through and deliver on any refit requirements including GRP, high performance Composites, Perspex and Plastics. They work with a large range of ‘State of the art’ materials including Carbon, Kevlar, Fibreglass, Perspex, Nylon, Delrin, Vesconite and UHMW and also carry Corian, Belonzoni & marble maintenance products. …A large stock of composite fibres, resins, custom moulds and tooling, along with their professionally capable team of craftsmen, ensures that complex projects can be professionally and efficiently tackled, “In-house”, with one project manager from outset to successful job completion. Over the past five years, Woodstock’s extra training and technical support from marble experts in New York, coupled with new tooling, has meant that Woodstock has been able to successfully tackle increasingly complex issues relating to Marble finishes and installation. They also stock a full range of Bellinzoni marble restoration products. Woodstock have an in-house climate controlled spray shop to ensure dust free, fine finishes when undertaking ‘off the yacht’ paint and varnish projects. Being fully aware that preparation is key, they have a dedicated sand blasting room to facilitate excellent preparation. 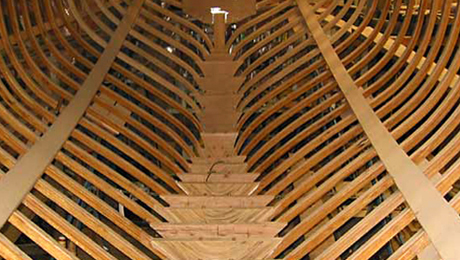 As specialists in Awlgrip application, Woodstock also undertake full hull and superstructure finishing and refinishing paint projects and their team of skilled varnishers can finish the project by either undertaking complete ‘back to bare wood’ projects or give a yacht a quick couple of, ‘sand and varnish,’ face lift coats – either way ensuring to always achieve that special high gloss finish. Every season sees the Woodstock paint team carrying out impressive onboard and in-house projects for satisfied customers with past seasons even seeing loyal yachting clients chartering helicopters to fly the Woodstock paint crew to carry out works at other island locations! “My expectations have been surpassed, the staff at Woodstock put their heart and soul into the project, the quality and service was superior to many of the better-known large yards in Europe or the USA. They did an immense amount of work in a very short time, even working over Christmas to ensure we met our deadline”. 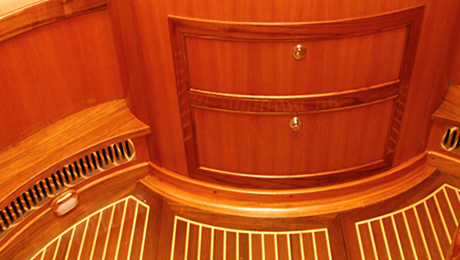 What started off for Woodstock as more of a woodworking business, has developed over the years into a much larger concern, with a broad base of skill set and capabilities that enable Woodstock to promote themselves as a fully fledged refit / repair operation. Woodstock’s staff include highly experienced Project Managers who really understand the needs of the yachts they work with. Their summer refits can be carried out in possibly the Caribbean’s most ‘state of the art’ boathouse – a 180’ x 100’ Cat5 hurricane resistant building at North Sound Boatyard, in Crabbs peninsular. The technicians in Woodstock’s HVAC/R department really recognise the importance of the smooth running of a superyacht’s refrigeration and A/C systems and are well acquainted with all onboard systems aspects of refrigeration and air-conditioning. Offering 24/7 callout services and carrying the latest test equipment, they are able to quickly analyze and trouble shoot any fault in any system on both the mechanical and electronic control side. They are agents for many of the major brands including Marine Air & Cruisair (Dometic), Isotherm, Isotemp & Condaria and keep a large inventory of gases and spares in stock.